Heat the oil in a large frying pan over medium heat, add the garlic, capers and lemon rind and cook for 1–2 minutes or until lightly golden and crispy. Add the zucchini, lemon juice and salt. Cook for 1 minute or until heated through. Remove from the heat, add the dill, rocket and tuna and toss to combine. 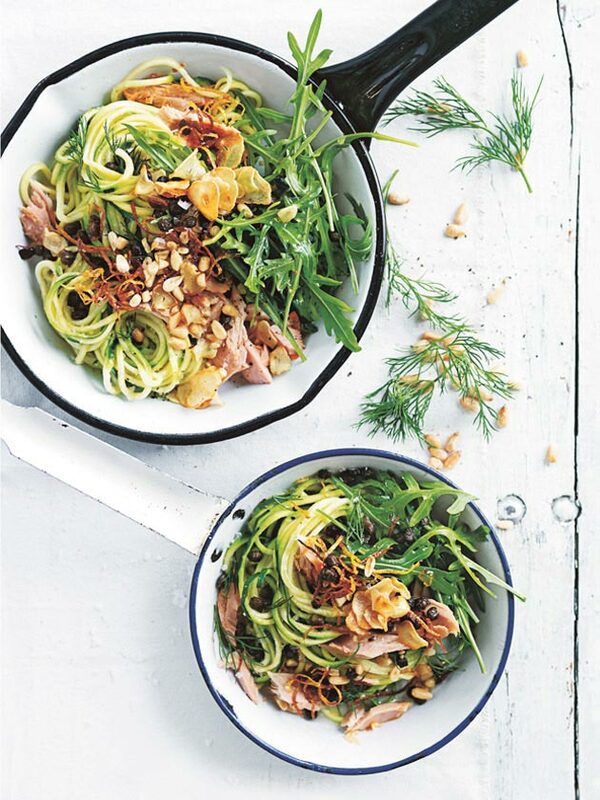 Divide between bowls and sprinkle with salt, pepper and pine nuts to serve. Serves 4.